Moving on to the past with Wands 10, we can see the pressure he has been feeling and the load he has been carrying, just look at the man on the card! Our client will identify with this for sure, so we know he needs to find a way to put that burden down. Tarot card 10 is the last one in this suit, so perhaps it is coming to an end? The last card is Wands 3, which is all about taking your destiny into your own hands, looking at the energy and motivation you have and doing something positive and creative that you want to. In short, our client needs to do something with his career that comes from within himself. Perhaps with all the energy that all these Fire cards have in his Tarot spread he can develop his exercise programme and become a personal trainer? 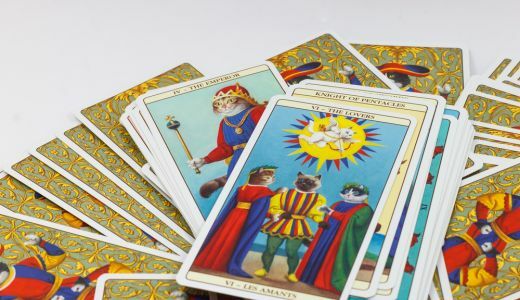 So as we start a Tarot reading it is good to be aware that often there is an underlying message, a synthesis that all the cards will point towards and the best way to arrive at this is to look at each card in turn, telling their story and letting it flow from your instinct and intuition as you go. This way you will find, with a little practice, that things fall into your mind without your thinking about it and what comes out of your mouth makes perfect sense to your client, even if you do not understand it yourself! 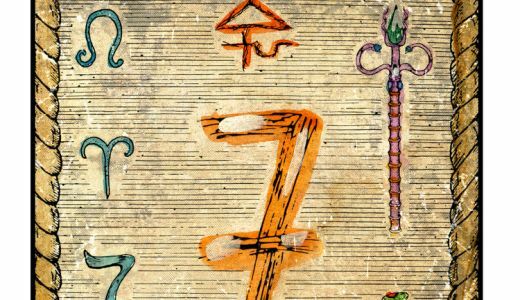 Another way to see the underlying meaning of a spread is to use Numerology, the energy of the numbers of the Tarot cards that have come out. In numbering the cards, the Aces are 1 and the numbered cards of the suits of the Minor Arcana the same as their Roman numeral indicates. 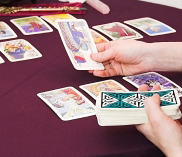 The Court cards are given 0 and the Major Arcana cards follow their numbers. 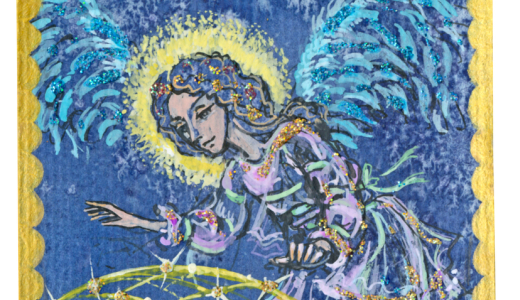 By adding the numbers of all the cards together, you get the ‘collective’ number for that Tarot reading, which points some way to its underlying meaning. In our Tarot reading for our bored accountant, his numbers are: Death = 13, Wands Knight = 0, Wands 10 = 10, Wands 3 = 3, so 13 + 0 + 10 + 3 = 26, then 2 + 6 = 8, so his collective number is 8. This makes sense as the meaning of number 8 is all about progression; it is about building on the foundation you have previously made. If 7 is the number for following your destiny, 8 is living it, so again, he needs to follow this inner call and do something, it will not go away! In conclusion then I hope you enjoy working with the Tarot cards and may the Spirit of the Tarot always guide you and your cards always be true.